Monday, November 5th, 2018.. 6AM. 6PM..
Seas.. are Northerly 4 to 5′ 4 to 5 feet. Winds.. are Easterly @ 12 E 8 to 12 MPH. Skies.. Cloudy with rain throughout the whole day.. Winds.. are Easterly @ 12 E 8 MPH. Skies.. Cloudy with rain throughout the morning, as a Tropical Wave goes thru.. Winds.. are East-north-easterly @ 8 to 12 E 8 MPH. Skies.. Cloudy with light rain, all day .. Winds.. are Easterly @ 8 to 12 E 8 to 12 MPH. Skies.. Partly Sunny with light rain, most of the day .. Winds.. are Easterly @ 12 E 12 MPH. Skies.. Cloudy with light rain, most of the day .. Winds.. are Easterly @ 12 ENE 12 MPH. Skies.. Partly Sunny most of the day.. 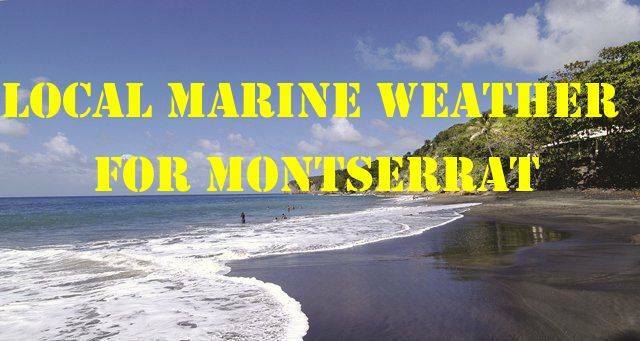 Winds.. are Easterly @ 12 to 16 E 12 to 16 MPH. Skies.. Partly Cloudy most of the day..